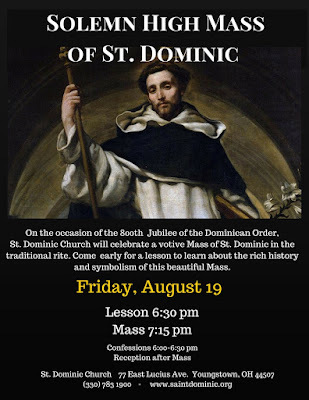 To commemorate the 800th anniversary of the Dominican Order, St Dominic’s Church in Youngstown, Ohio, has celebrated a special series of Masses in the traditional Dominican rite. The last of these will take place on August 19, a Solemn High Votive Mass of St. Dominic; before the liturgy, there will be a brief lessons from the friars explaining the history and the significance of the rite, beginning at 6:30 p.m., with the Mass itself 7:15 p.m. For more information, see the poster below, and visit the parish’s website, www.saintdominic.org. 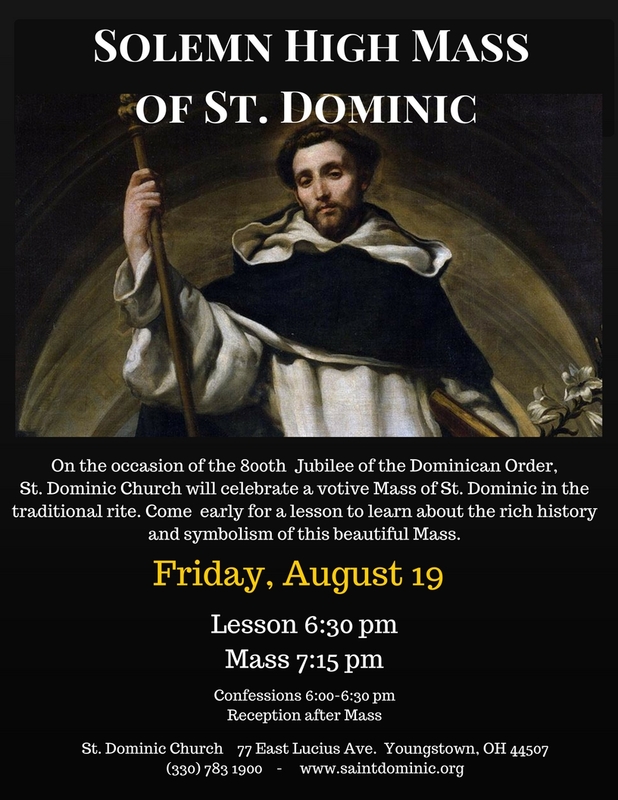 We also wish a happy feast of St Dominic (EF) to all the son and daughters of the Order of Preachers throughout the world, and a special word of thanks to those who have been making so many efforts of late to maintain their great liturgical tradition!